Stage 18 visits the roof of the Alps - with three massive climbs including the highest point in the 2011 Tour and the highest mountain top finish in Tour de France history. Stage 18 visits the roof of the Alps – with three massive climbs including the highest point in the 2011 Tour and the highest mountain top finish in Tour de France history. My friends at Podium Cafe voted this the 2011 Queen stage. 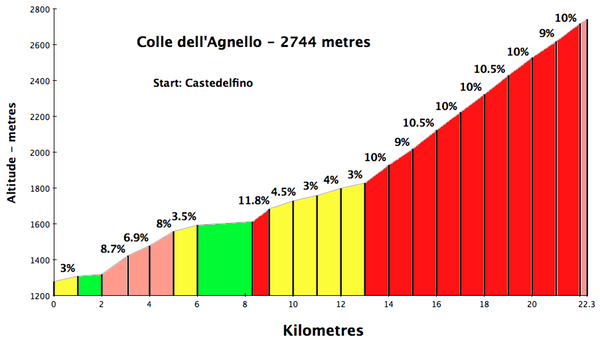 We should really use the Italian name – Colle dell’Agnello – as this climb is entirely in Italy. The summit is the French / Italian border. Agnel is the hardest (and highest) climb in the 2011 Tour de France according to our mountain difficulty rankings. 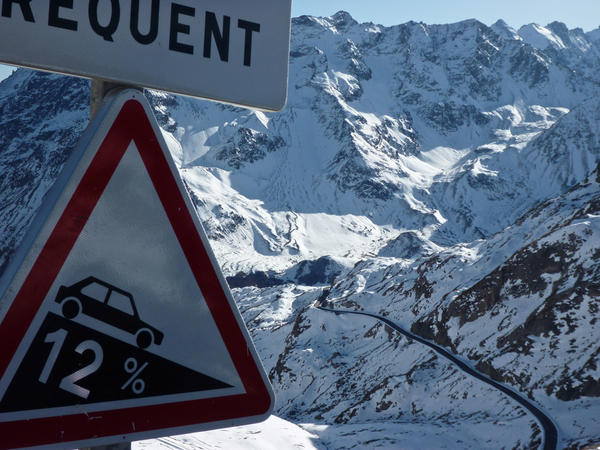 It’s the third highest paved pass in all Europe – after Col de l’Iseran (2770m) and Passo dello Stelvio (2757m). It’s a monster. 2011 will be only its second Tour appearance – the French side though last time. In 2008, Egoi Martinez was first over the summit. The Peloton will have been climbing for roughly 50 kms (at almost 2% avg) before they even reach the official start of the climb. Ouch! 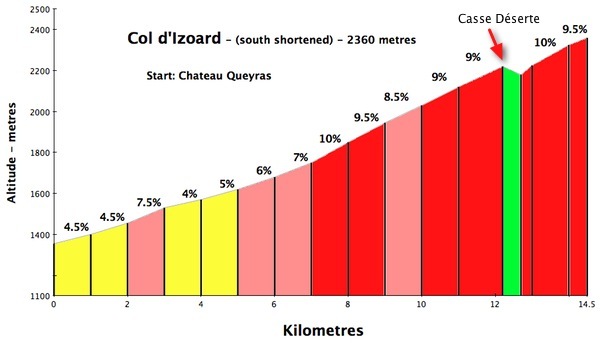 The seventh hardest climb in the 2011 Tour, this will be the 33rd time Izoard has appeared in the TdF (1st climbed in 1922). The peloton will climb the more “mythic” south side. 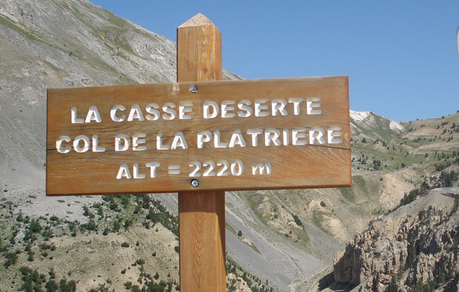 At the top is the unique Casse Déserte – a beautiful, arid, rocky environment. The other side is much greener. 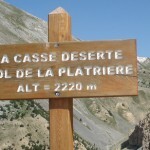 For the Col hunters in the crowd, the entrance of La Casse Deserte is at Col de la Platrière. 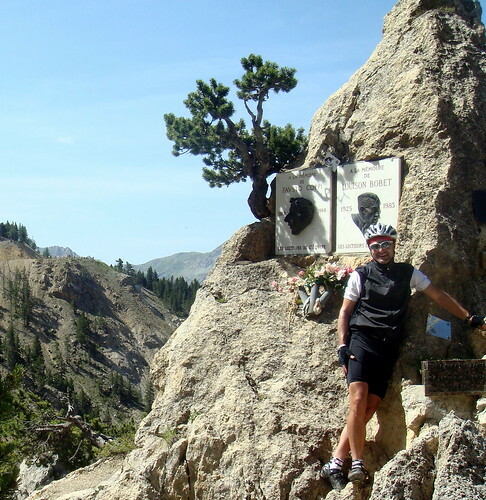 Izoard is one of the truly legendary alpine cycling climbs. Lots of history here including great battles between Fausto Coppi and Louison Bobet in the 1950’s. After a brief descent from Platrière, the peloton will pass the Coppi-Bobet monument as they attack the last two kilometres to the summit. It’s a 100 years since Galibier first appeared in the tour. To celebrate, stage 18 will finish up top – the highest mountain top finish in Tour history. 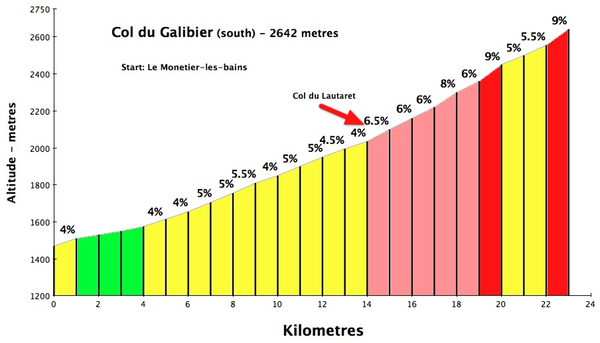 The lower part of this side of Galibier is not steep until Col du Lautaret. But here they turn right, leaving the main road, and head up. Col du Lautaret is often called the “easiest” +2000 metre climb in France. It is the highest pass in France kept open year round. 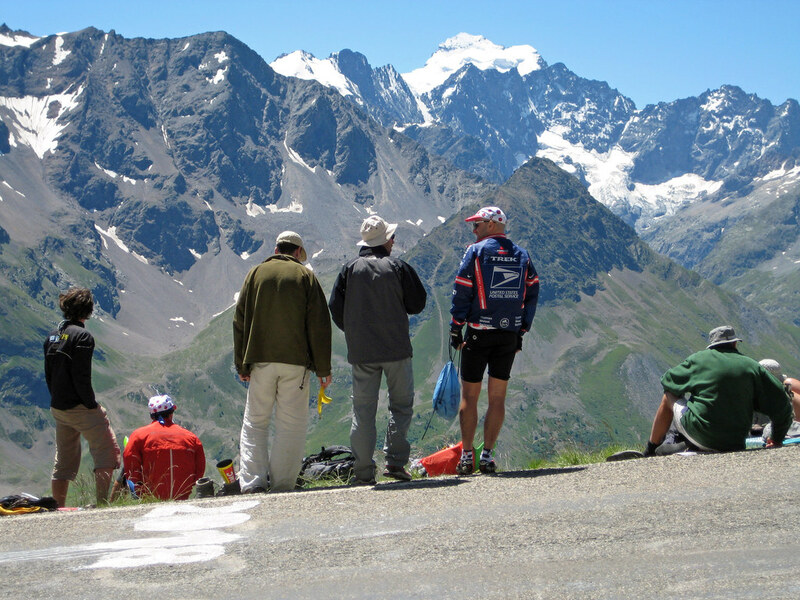 It’s only the 10th toughest climb in the 2011 Tour de France. However, when they reach the Desgranges monument, the begin the last kilometre over the tunnel — the toughest part of the entire climb. There is a 12% sign about five metres from the finish line (top photo). It looks like it’s going to be unseasonably cold. The descents from Agnel and Izoard will be terrifyingly cold. It will be interesting to see if they are raced down. My main hope is that we get helicopter shots, as this is a stunningly beautiful stage (and all the nearby peaks will have fresh snow). P.S. Cycling Author and Photographer Jered Gruber did a photoshoot in May with his bride of all three climbs. Some truly fantastic photos here.